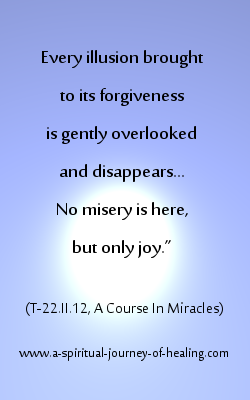 A Course In Miracles(ACIM) gives the definition of forgiveness as the only workable path to happiness. The practice of forgiveness is a very practical way to return us to the knowledge of our reality – our Unity and our Innocence in God. A Course In Miracles teaches that this world is a dream. Since God is all powerful, we do not have the power to create our own separate kingdom of sorrow, pain and separation. Therefore reality remains perfect as God created it. Through the practice of forgiveness we confirm our belief in the innocence of all. As we do so, we first experience peace in the midst of a difficulty and, as we continue, the seeming evidence for ‘our sins’ or ‘their sins’ eventually dissolves, and our world shifts a little more in the direction of heaven. The practice of forgiveness is our function, and our function and our happiness are one. 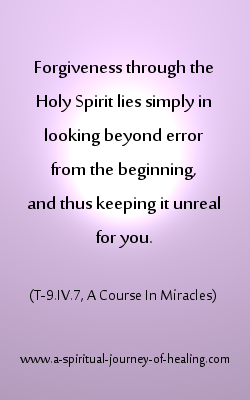 This article shares some powerful forgiveness quotes from A Course In Miracles. “What could you want forgiveness cannot give? Do you want happiness, a quiet mind, a certainty of purpose, and a sense of worth and beauty that transcends the world? Do you want care and safety, and the warmth of sure protection always? Do you want a quietness that cannot be disturbed, a gentleness that never can be hurt, a deep abiding comfort, and a rest so perfect it can never be upset? All this forgiveness offers you, and more. It sparkles on your eyes as you awake, and gives you joy with which to meet the day. It soothes your forehead while you sleep, and rests upon your eyelids so you see no dreams of fear and evil, malice and attack. And when you wake again, it offers you another day of happiness and peace. Forgiveness lets the veil be lifted up that hides the face of Christ from those who look with unforgiving eyes upon the world. 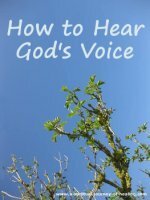 It lets you recognize the Son of God, and clears your memory of all dead thoughts so that remembrance of your Father can arise across the threshold of your mind. What would you want forgiveness cannot give? What gifts but these are worthy to be sought? “Forgiveness is the healing of the perception of separation. “Forgiveness that is learned of me does not use fear to undo fear. Nor does it make real the unreal and then destroy it. Forgiveness is not loss. Forgiveness leads to the only thing of value - the knowledge that you are one with God. “He will teach you to remember that forgiveness is not loss, but your salvation. Forgiveness is a selective remembering, based on the selection of the Holy Spirit. Forgiveness takes us to a place where nothing interferes with love, and God has access to take the final step unhindered. “Yet even forgiveness is not the end. Forgiveness does make lovely, but it does not create. It is the source of healing, but it is the messenger of love and not its Source. Here you are led, that God Himself can take the final step unhindered, for here does nothing interfere with love, letting it be itself. A step beyond this holy place of forgiveness, a step still further inward but the one [you] cannot take, transports you to something completely different. “Beyond the body that you interposed between you and your brother, and shining in the golden light that reaches it from the bright, endless circle that extends forever, is your holy relationship, beloved of God Himself. How still it rests, in time and yet beyond, immortal yet on earth. Its will has no exceptions, and what it wills is true. Forgiveness is what we are here to do. “Forgiveness is the only function meaningful in time. As so often, it has been a joy to put together this page. These beautiful forgiveness quotes flow over me and strengthen my commitment to the practice of forgiveness. If you are interested in making forgiveness exercises part of your life, then feel free to click through for a copy of the FREE e-book Releasing Judgment - A Practice of Forgiveness by the author of this website. You can do so by filling in the box at the top of this page on the right. I developed this forgiveness exercise to keep my heart open in hard times. Integral to my life and work, it is the way I walk forwards on the spiritual journey. This article on definition of forgiveness is also included in the ebook. 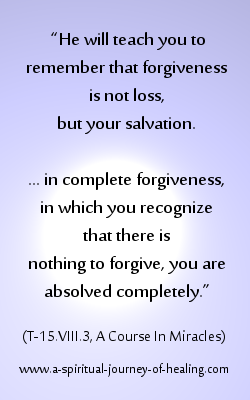 Move here for more forgiveness quotes from ACIM. 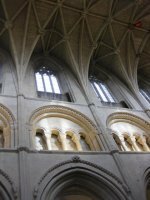 Move here for a full list of forgiveness articles on this website.